NEWS: The new for 2019 Stylophone GEN R-8 is a dual VCO British made boutique synthesizer with a fully analog signal path and a touch keyboard that you can play with your finger. The GEN R-8 also works as a MIDI controller keyboard (with Local ON/OFF) where the CV/Gate outputs on the sequencer doubles as keyboard CV/Gate when the sequencer is not running. NEWS: New Strymon Volante Magnetic Echo Machine effects pedal features magnetic drum, tape, and (reel-to-reel) studio echo as a stereo multi-head delay that also offers a looper and vintage reverb. Situated at the center of Volante’s control surface are four delay playback heads with individual playback and feedback controls — each head’s playback level can be set for full volume, half volume, or off, and each head can be switched in or out of the feedback circuit. NEWS: The new for 2019 G-Sonique TECHNOL HN1 plug-in multi-instrument was created for TECHNO / MINIMAL / INDUSTRIAL music producers, but can be used in other music styles (Electro, Progressive, Industrial, Illegal Tekno, Minimal. Psytrance, Darkpsy, Darkprog, Hitech, Neurofunk Drum & Bass, and also for dark ambient, experimental genres, film / video game music). NEWS: ARGOSY announced this week (Jan. 10) its acquisition of all assets of Sound Construction and Supply, Inc., a Nashville based manufacturer of furniture for recording studios. This acquisition will help to enhance and expand Argosy’s portfolio and further allow it to deliver on its mission to help studio owners transform their space. SYNTH NEWS: UVI has announced the latest in their Prototype Series, PX V8. 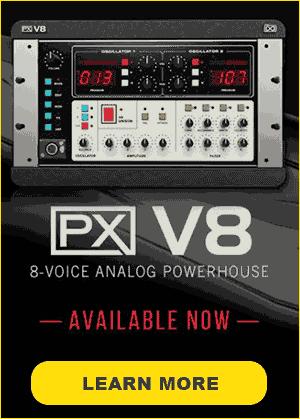 Examining a rare 8-voice analog polyphonic synth, the Voyetra 8, PX V8 presents a rich and charactered analog instrument thanks to its unique voice cards, real analog unison and deep modulation system. SYNTH NEWS: The all-new Haken Audio ContinuuMini electronic music instrument, first previewed at the 2018 ContinuuCon event, launched this week on Kickstarter, and was fully funded its first day. The ContinuuMini has been designed to be a portable and more affordable version of Haken Audio’s larger Continuum Fingerboards. NEWS: UVI has released “Walker,” a comprehensive and flexible footstep foley designer for film, games and post production, offering a customizable engine including 6 shoe types, 14 ground surfaces with adjustable texture layers, 8 clothing materials, and intelligent automation tools to help accelerate common production tasks. MUSIC MAKERS: A historic lineup of L.A.’s leading artists, performers, poets and authors will salute Beyond Baroque Literary Arts Center (‘Beyond Baroque’), the city’s legendary literary center, at its 50th anniversary “Bohemian Bacchanal” on Nov 10, 2018 in Venice, CA. Performers slated to take the stage include John Doe and Exene Cervenka (who first met at Beyond Baroque and formed the iconic LA band X); and John Densmore, founding member of The Doors. MUSIC PLUG-IN NEWS: UVI’s all-new ‘Plate’ plug-in a custom-shop electro-mechanical reverb with fully-configurable design. A realtime physically-modeled simulation, Plate allows you to control each aspect of the design including metal type, plate size and aspect, input and output position – and more. BOOK NEWS: Former Cash Money Records artist Tab “Hot Boy Turk” Virgil Jr. takes you on a journey of deep spiritual and mental growth in his new book, ‘The AutoThugOgraphy of Turk’ (Hardcover: Wahida Clark Publishing: ISBN: 978-1947732216). NEW MUSIC: The Ormewoods – Claire Pearson and Don McCollister – are an Americana and folk duo, and their new music video, “Hope, Pray, Sing,” was released to draw people closer together rather than tear them apart. NEWS: Spitfire Audio, a British music technology company, well known for its industry leading scoring libraries, has launched its first ever Audio Annual, a 246-page visual magazine, designed to celebrate each year that it has been in business. 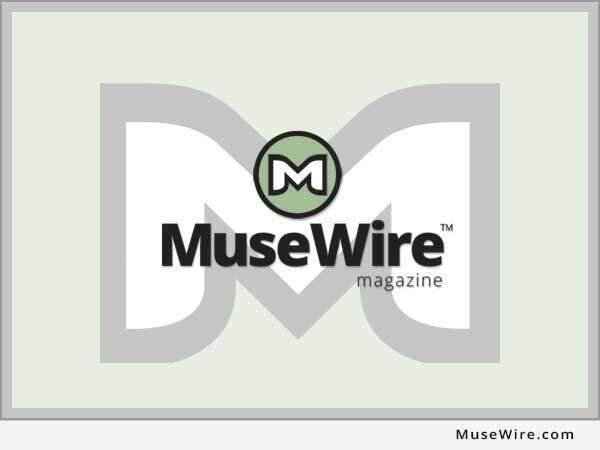 MuseWire™ - the Synth Magazine covers music makers, synthesizers, electronic music gear, the music industry and related topics - a publication of Neotrope® - formerly Music Industry Newswire. Est 2004. Edited by Christopher Laird Simmons, a working tech journalist since 1984, and member ASCAP.